Outlook Express, which is formerly known as Microsoft Internet Mail and News, is a discontinued email application, When a user downloads and installs Internet Explorer versions 4.0 through 6.0, included Outlook Express for free. With the start of Windows 98 OS, Outlook Express was the default email application until it has been replaced by Windows Mail in Windows Vista. Later, Windows Live Mail came into existence with the launch of the Windows 7 Operating system. Read this post to explore the alternatives to Outlook Express. Outlook Express 6 is completely a different email application from MS Outlook. Outlook Express has been a discontinued email program, which makes the existing OE users to start looking for a suitable email application so that they can access the DBX file in those email programs. Taking this factor into consideration, here in this write-up, we will disclose the best alternatives to Outlook Express 6. So read on and switch to a reliable email application from Outlook Express. This is a free email application, which can be easily installed on the Windows and Mac Operating systems. It is induced with a modern and easy-to-use interface, which can support all major services like Gmail, Exchange, iCloud and Outlook.com. It has got a unique sidebar with contextual information that will extensively increase the productivity. Additionally, it offers a powerful search mechanism that instantly navigates the email message. Furthermore, it relies on its own backup tool, which can efficiently backup the data even when the application is running behind. Opera Mail is the email program and news client that is developed by Opera Software, which is capable to work in the Windows OS. Initially, Opera Mail was an inbuilt email application in the Opera browser. However, with the release of Opera 15, Opera Mail has become a separate product and it is not bundled with the Opera browser. It is one of the best alternatives to Outlook Express. It allows users to access and browse the emails in offline mode. Moreover, it uses one database that keeps the index of all emails. Also, it sorts the email messages automatically in several views. Outlook is one of the best email program, which is a part of the Microsoft Office suite. This standalone application is available for the Windows, MacOS and Android platforms. One can make use of “Clutter” to filter the receiving emails based on the priority. As a result, the high-priority message will be alerted to the user. Another feature is smart lookup where Bing search engine is bundled in the app that allows users to auto-search the information. If you are often navigating the same words or phrases in Outlook, then setup a virtual Search Folder, which will list the items that best matches the search criteria. Thunderbird is another email application, which is available for Windows, macOS and Linux Operating system. 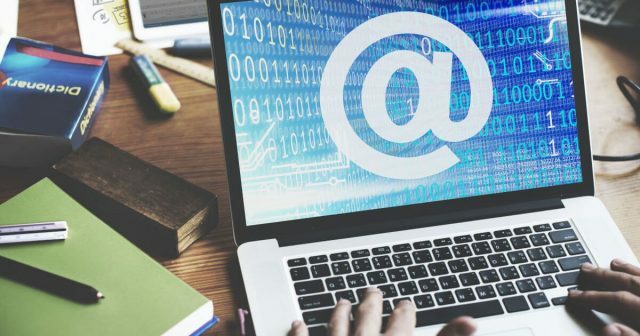 This freeware and open source email program allow users to add numerous Add-ons to easily customize and operate the email messages. It renders a flexible and easy-to-operate interface, which is capable to support all the general protocols i.e., POP, IMAP and SMTP. One of the highlighted feature of Thunderbird is the tabbed email and the ability to provide a prompt message for adding attachments with the email message. It provides One-click address book to add the contacts seamlessly to the address book. ZCS(Zimbra Collaboration Suite) is a collaborative software suite, which includes an email server and web client. It bestows a user-friendly interface and renders a presentable and attractive look. It is capable enough to automatically configure with other emails programs like Yahoo, Gmail and AOL. The best part is the ability to work offline in which users can smoothly access the data in offline mode. Apart from storing and syncing the data items in the cloud, one can also locally access and save the data. Altogether, it is a complete package of mesmerizing features. Mailbird is a desktop-based email program for Windows 7, 8 and 10 OS. With the help of this application, one can efficiently manage emails and other mailbox items from multiple accounts into a single unified box. A user can customize the layout by applying tons of free color themes. Plus, one can extend the functionality by these plugins like Sunrise Calendar, where users can add multiple calendars in one view. It also previews attachments for the selected email message. Altogether, it renders a sophisticated interface to the end users, which is ultimately one of the top alternatives to Outlook Express 6. Are you looking for the best approach to convert the DBX files to import into any of the aforesaid email applications? If yes, then your wait is soon going to get over! 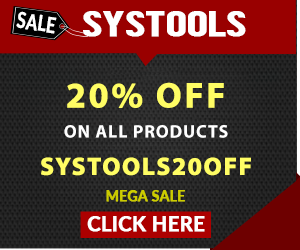 SysTools DBX Converter – One-Stop Solution to All Conversion Problems! This DBX Converter is a full-fledged utility, which is capable to convert multiple Outlook Express DBX files to different file formats, which includes PST, MBOX, EML, MSG. One can export selective or the required DBX files to the desired email client supporting file format. While exporting the DBX files to PST format, this independent software does not require Outlook installation. In addition to that, it offers multiple preview options to swiftly view the email headers of the email message. It also provides the option to split the output PST files into smaller parts. Moreover, it can support the latest Windows 10 OS of both 32 and 64 bit. If you are an Outlook Express user and have plans to switch to another email application from the discontinued email program. Then, this blog defines the best alternatives to Outlook Express 6. Furthermore, one can instantly convert the DBX files to the destined format by availing one of the finest and result-oriented software tool i.e., SysTools DBX Converter.